Valentino Turned an Entire Store Into a Subway StationIn collaboration with @SubwayHands and SSENSE. God, These All-Red Outfits at Valentino Are So GoodRed is a lifestyle. This Is the Biggest, Best Hair at Haute Couture Fashion WeekThe higher the hair, the closer to heaven. Watch the Valentino Menswear Runway Show LivestreamEnjoy! L’Oréal Inks Major Deal With ValentinoValentino is coming for you. Watch the Valentino Runway Show LivestreamEnjoy! Watch the Valentino Menswear Show LivestreamEnjoy! Buy This Valentino T-Shirt to Support Mothers Around the WorldVia Christy Turlington’s charity. Check Out the Most Glamorous Athleisure CollectionValentino’s VLTN even has a branded yoga mat. Valentino’s Creative Director Explains the Concept of ‘Glamleisure’Ahead of the annual InStyle Awards. Fashion’s Human TouchWarm collections by McQueen and McCartney, along with some stellar exhibits, remind us that it’s not just technology that draws people to fashion. 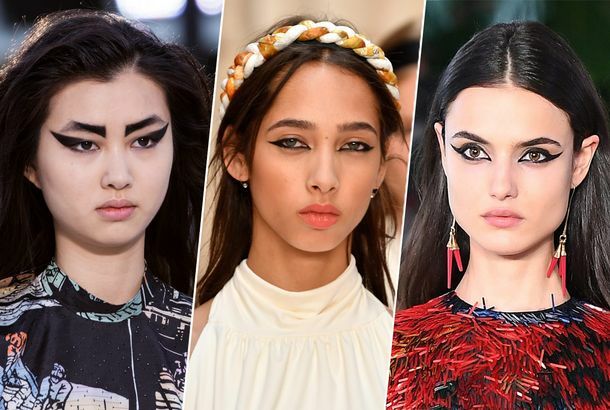 All the Resort Shows Want You to Wear a Cat EyeFrom Chanel to Valentino. Valentino Cruise Was a Tribute to Downtown New YorkCreative director Pierpaolo Piccioli’s first cruise collection for the brand was sporty and relaxed. You Can Get First Dibs on Valentino’s Pre-Fall Collection at Bergdorf GoodmanThey also have two exclusive accessories featuring their fall 2017 Floral Waves print. Valentino’s Paris Fashion Week Show Was Flowy and FeminineThink Victorian England. Today, Valentino Showed a Timely Collection Inspired by ‘Hope’The Roman house relocated to New York for pre-fall. Valentino Confirms Designer Maria Grazia Chiuri Is LeavingShould we expect a Dior announcement soon? Is There a New Luxury Conglomerate on the Block?Valentino and Balmain now exist under the same umbrella. See the Valentino Costumes for Sofia Coppola’s Opera DebutPhotos from the Rome opening of La Traviata. What Is Kim Kardashian Doing in a Jane Austen Novel?Is that Mr. Darcy or Valentino? See Valentino’s Tribute to Wonder WomanLive in stores. Report: Valentino in Bid to Acquire BalmainAccording to a French newspaper. 20 Pairs of Jaw-Droppingly Over-the-Top ShoesThe stuff maximalist dreams are made of. Valentino’s Modern BallerinasAnd four other things we liked at Paris Fashion Week yesterday. Watch the Valentino Show LivestreamEnjoy! The Best, Most Stunning Looks From CoutureDesign wizardry, velvet gowns, and a modern bride. What You Missed at Couture This WeekSweeping gowns, haute lobster bibs, and a urinating dog. See a Photographer’s Dreamy Visions of CoutureDior and Valentino, showcased in Cathleen Naundorf’s otherworldly Polaroids. Valentino’s Creative Directors Have Plans for World DominationTalking to Pierpaolo Piccioli and Maria Grazia Chiuri about Zoolander, accessories, and not being too serious. What I Want to Wear From Paris: Part 4Intricate beadwork, sheer layers, and Louis Vuitton platform sandals. It Took the French to Make Abercrombie ChicHow flip-flops and V-necks translate in Paris. Here’s a Fancy, Street-Style-Ready SneakerBy Valentino, of course. Mr. Valentino Has Stolen Leo’s ‘King of Summer’ CrownAll he needs in this life of sin: a yacht and some pugs.